What Happens To The Surrounding Stars When One Of Them Goes Supernova? 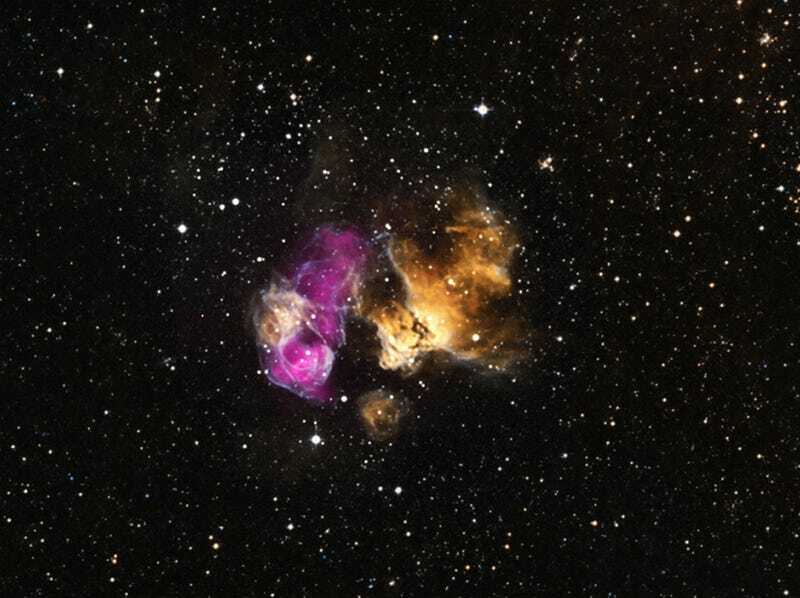 What happens to a pair of binary stars when one of them goes supernova? These gorgeous shots of a binary star, in which one went supernova and the other remained intact, gives us one answer to that question.